The party spend time planning when and how to ambush a few patrols in the hope of reducing the number of orcs in the war band, They set out to prepare to ambush a patrol using the sunken road. As Billwise has shown himself to be very fleet of foot and stealthy, the party decide to use him as an advanced scout. This proves to be fortunate as he is able to alert the party to a patrol before they encounter it. Hoping to use surprise, the adventurers improvise a hasty plan. The dwarves stand out in the open, to tempt the orcs into rushing them, whilst the others hide using the ample forest cover. This proves a disaster with the ambush discovered before the trap could be sprung. Fortunately, the dwarves mighty war-hammers inflict punishing damage and soon the small patrol of orcs is dispatched. While the party hide the bodies, Billwise scouts towards the sunken road and discovers a lack of patrols. He reports this back to the others and Denig suggests that this is because it was a bright day and patrols might be less frequent. He goes on to suggest that they use the time to scout the camp with more detail as he thinks that the Orcs will be less alert at this time of day. So it is that, with the rest of the party nearby, Billwise stealthily approaches the ruined manor. He finds no sentries and after a quick survey reports back to the others. Who, after a discussion, decide that Billwise should sneak in and kill any sleeping orcs that might be inside. To aid him Ydal casts a Prayer of Quiet on the young hobbit, allowing him to go about his deadly business without a sound being heard. All goes well as Billwise slips into the darkened building, enveloped in silence he attempts to dispatch the first of the sleeping forms, but killing is a messy business and if you are a hobbit it becomes more difficult when the first blow is not a killing one. Although willing, it becomes clear that Billwise lacks the skill for a quick kill but with a brief struggle he dispatches his first foe aided by the blessing of silence. He swiftly moves on to the next sleeping orc and again struggles for a quick kill. This time the struggle allows the orc to escape outside the bubble of silence that surrounds Billwise. The cry alerts the other occupants of the ruined building and also his waiting companions. Hearing the cry, everyone, except Denig, rushes into the building to assist Billwise. Ydal rushes to aid Billwise and Pick rushes to prevent an orc Shaman from entering from another room. Dagaard guards the door ready to assist Denig who keeps watch for guards from the main camp below. Suddenly, beside Billwise, the corpse of dead orc drags itself upright, clumsily gripping its scimitar, still congealing blood oozing from it wounds. Dagaard quickly rushes in to protect the vulnerable hobbit’s flank. 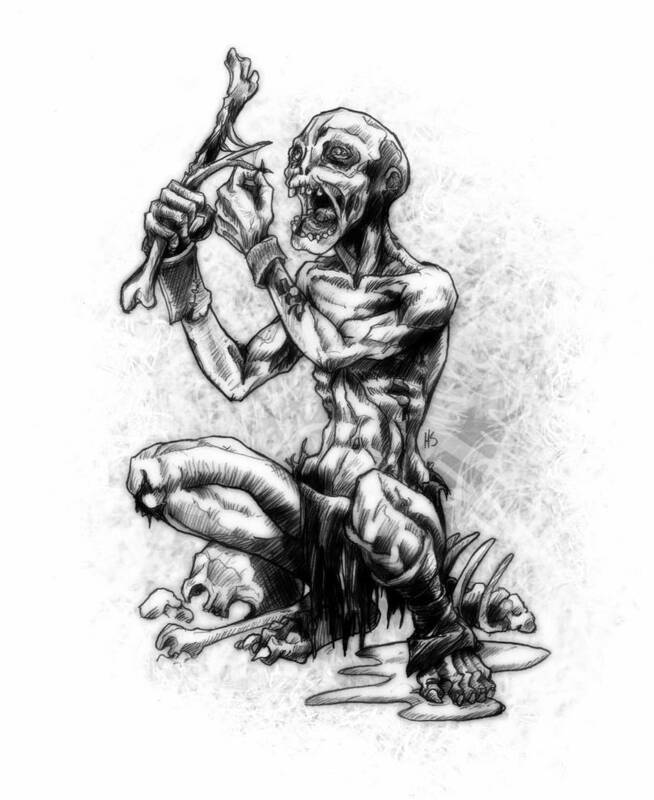 A second shaman has joined the battle and his invocations look set to make a quick battle last longer than expected reanimating the dead. Fortunately, the undead orc and his more live companion are dispatched and the first shaman (an apprentice) at the door looks set to be pressed by weight of numbers. Outside, Denig, seeing no immediate threat from sentries, prepares the ritual of golden slumber and makes his way into the ruins. 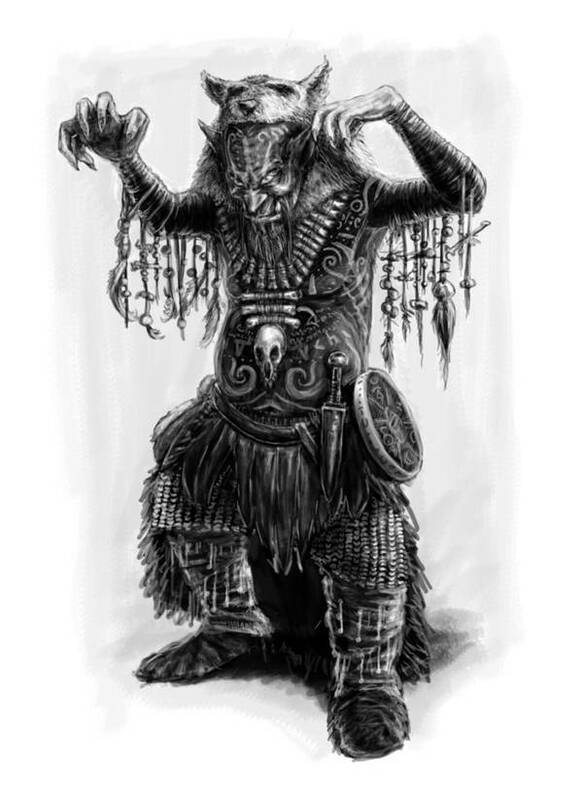 In the ruins, the shaman invokes a spirit of calm over the party and they are unable to undertake any aggressive act. The two shaman make for the exit only to meet Denig coming the other way. Denig releases his prayer but the apprentice resists and slashes at Denig’s stone skin with his scimitar. Denig holds the door whilst his companions try to figure away to aid Denig. Meanwhile the shaman, continues to build invocations against Denig, despite Billwise’s attempt to use the area of silence around him to prevent the prayers. Denig resists each attempt to unleash Dark Forces on him and battles the apprentice. Ydal throws up a wall of silence around the room to prevent the camp from hearing the sounds of fighting and blesses Denig to aid him in his lone stand. Ingeniously, Denig calls on his tribal gods for a bolt of lightning to strike his opponent, but all that is granted is a mild electric shock. The shaman continues to lash out at the stone man with dark energies. Alone and with no help Denig it looks like all is lost. However, thanks to the doorway and his stone skin he defeats both the apprentice and the Shaman. During this time, unable to act aggressively the rest of the party take on different tasks. Dagaard and Billwise investigate a barred door way from which whimpering is coming. Pick investigates the room the Shaman and apprentice came from rooting around for treasure. In the barricaded room, Billwise and Dagaard discover that the source of whimpering is a small child, no doubt saved as a tasty morsel. Billwise, not much larger than the child, reassures the traumatised soul. Meanwhile, Pick discovers some treasure including bags with runes of screaming. Which he sets off. Unfortunately, he is outside the quietened room and the noise is heard by the sentries in the camp below, a fact made apparent by the sudden sounds of disturbed orcs from the camp below. The party flee carrying the child, but not before a note written in Elvish with a distinct hand and ink is recovered from the shaman along with his staff. They struggle to move quickly through the woods but the sunlight appears to be on their side and there is no sign of pursuit although a hideous din is heard from the camp. Back at the Periwott smial, the party assess their options. Fearing that their trail may be followed, Denig attempts to cover the trail and lay false route, while Billwise scouts for potential pursuit, of which he sees no sign. Back at the smial, the child is reunited with her mother amidst many tears. The night passes without incident. In the morning, the party decide to investigate the effect of their recent raid and find lack of patrols. Curious, they return to camp with Billwise as scout and discover some dead orcs who were not killed by them. Most of the party are confused by this and fear some new opponent able to slaughter orcs at will. However, Denig tells party that it is because the war band were leaderless and turned of each other to decide leadership. He goes on to tell them that eventually a leader was decided and they have either left or gone on to do what ever it was they were here for. Denig thinks that this is the the former as the orcs are far from the usual places they would normally inhabit. Neffin wood, now free of orcs, is home again to the Periwott hobbits, who offer sanctuary to the rescued prisoners. The rescued villagers work with the hobbits to gather food and a new community is founded. During this time our heroes rest and recover and discuss the next steps. Although the hobbits can supply a few simple supplies it is clear that the adventurers will need to re-provision with gear suitable for adventuring. Pick, Dagaard and Billwise are all keen to find Jeremiah who they left with the cart and the plundered loot from the ruins of Elvellon manor. They also invite Ydal and Denig to join them as they believe that they could be helpful in any other explorations that are given to them by Mithparvandir. A staff x2 PP multiplier, a note with a distinct style of writing and ink. The gratitude of the Periwotts and local villagers mean that should they need somewhere to stay the characters will always be welcome. Local tales will always be told of how the heroes took on a much larger force and vanquished them saving the woods. I have been meaning to write a blog post on skills as part of getting my thoughts down on building the levelless mechanism for characters in using MERP/Rolemaster. As always, life has more urgent priorities and I have thought a lot without coming to any firm conclusions. In the meantime, the debate has moved on with some useful thought on other blogs and forums. Yet I am still not satisfied. Let me clarify, we bandy the phrase “skill” around in RPG and to each of us, it means a different thing. Regardless of the roleplay mechanics used to provide a measure of success, our use of the word skill is a very personal thing and depending on GM mindset can be a contentious issue at the table. In general, most games divide the skills into weapons/armour skills; adventuring/class skills and the rest. Now the big question that comes out of this is what actually counts as a skill? Is it only the practical/physical aspects, knowledge/theory, or a combination of both. Perhaps using a dictionary definition will help define some terms of reference. Carpentry was one of his many skills. The dancers performed with skill. Reading all three definitions you can see a flavour of what for me will be the flavour of my handling of skills moving towards playing without levels. The first two, definitions could be argued to overlap considerably but the third sits off on its own. However, it does rather sit with the MERP secondary skills with the idea that these are pre-adventuring professions. From my point of view, it makes sense to use the meta-skill idea suggested by the first two definitions. It is easier for the players to handle in terms of recalling their character’s abilities and thus playing more to type. Also, it avoids the gaming the system of having 20 ranks in the Quick-draw skill purely to become fire every nanosecond. Yet having addressed the definition of skill there are a few points to consider. When you start to think about a meta-skill you realise there are a number of learnt factors that influence your ability to perform. Namely, pragmatic knowledge; physical actions; and theory. To take the carpentry skill this could be types of wood and how to handle them (responding to the knot and grain in the wood); use of measuring and cutting tools; and a theory of all woodworking methods and skills which would allow you to adapt what you know to new situations. In every domain, there are myriad mini-skills which is where the dread RM skill bloat started. Meshing this together, this means that it is possible to be an expert in one of the three domains without being anymore skillful than a rank tyro. This begs the question of how to resolve this potential dissonance without resorting to the fearful skill bloat (an idea I will return to in my thoughts on training time). Another point to think about is specialisation, which might be less of an issue in a low tech setting, but in a high-tech setting is going to be more important. Keeping to carpenter skill idea. What is the difference between a furniture maker and a structural carpenter? They both have an overlap is some skills and I’m pretty sure (based on my grandfather’s abilities) can make a good job moving from one to the other but perhaps with not the same speed and assuredness. I think this is where the theory domain plays a large role in adapting from one setting to another. These issues to do with skill are part of my considering how to deal with the time needed to secure additional knowledge and practice in allowing players to create rounded characters who don’t spring miraculously from one state to another overnight. Moreover, they also raise into question how to handling those core primary skills that all adventurers need. Perhaps in a true reductionist sense weapons and armour are all one skill. As with most councils of war, the subject of leadership and planning reared its ugly head. Denig, the stone man, counselled that he and Ydal should scout the area to assess the location of the Orcs camp. Billwise and Pencho disagreed complaining that the Big People were as noisy as Dwarves in chainmail. Although Pick and Dagaard did not express much of an opinion, it was Pick who swung the vote of all the adventurers towards Billwise’s plan and grudgingly, the stone man was forced to agree. After a second breakfast, Billwise and Pencho stealthily set off into the woods. 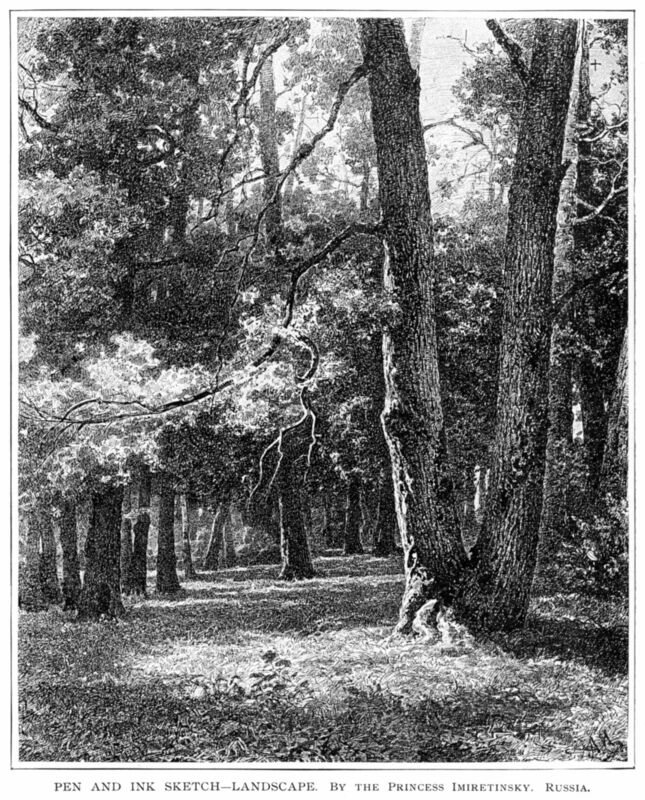 Billwise is shown how a Hobbit could move undetected by others through the wood and notice large patches of sunlight where the pursuit of Orcs could be hindered. Following a sunken road, they find an abandoned ruin which appears to be occupied by two Orcish shamans. 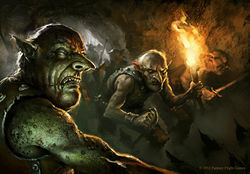 Below, in a dark defile, a large number of Orc voice can be heard, indicating the main body of the force is larger than the number of adventurers and Hobbits. During their time scouting the area, a cloaked figure, who carries a distinctive pipeweed odour, arrives and converses in Morbeth with the Orcs. Billwise and Pencho, not speaking the language, understand none of this but do catch a few words spoken. They continue their scouting, noting the small patrols of Orcs moving through the wood and a set of riverside huts in which prisoners appear to be kept. Back at the smial, the scouts inform the council of what they have discovered. The adventurers all agreed that the first task is to free the prisoners, who are probably being kept as a food store. With two Hobbit guides, the adventurers travel through the woods to the riverside without any untoward events unfolding. Near to the huts, the party formulate a plan. Denig insists that he and Ydal can pacify up to ten Orcs and insists that they are the only ones to enter the camp and that the rest attack any fleeing Orcs first. The Dwarves are unconcerned so long as Orcs are killed and Billwise prefers to wait and see what unfurls before to committing to combat. As Denig and Ydal move towards the hut where the Orcs appear to be sheltering from the day, they are surprised by a hidden sentry. Ydal attempts to cast her Calm spell but is unable and so retreats. Denig charges to the door of the hut and cast his Calm spell on the occupants of the room. Immediately, one of the occupants relaxes into a calmed state. Unfortunately, the other five are very much active and with a sentry charging, he looks to be very much in trouble. Realising his only hope is to hold the doorway until help arrives, Denig chooses to engage one Orc in the doorway and ignore the sentry. Ydal shoots wide in haste and the Dwarves rush in, whilst Billwise seeks an opponent to shoot. Soon the sentry is felled by Dagaard but the remaining Orcs seek to escape through the flimsy rear wall. Denig is driven back by the Orc’s charge but both appear evenly matched. At the rear of the hut, both Dwarves engage the remaining Orcs, war hammers breaking bone like winter twigs. At the front, Billwise races through the trees and with element of surprise dispatches the Orc fighting Denig with a thrust through its backbone sending it reeling back into the hut. Unfortunately, the act also disarms Billwise. Fortunately, there are no more foes. After freeing the captives, the valiant heroes and the weary, starved prisoners return to the smail where the immediate concern is where to house and feed the extra mouths. This is closely followed by decisions about how to remove the Orcs from the woods! In the gloom of a dry but underground space, the heroes awaken, bound and unable to recall much more than their own name. Gradually, they begin to recognise their companions around them but are unable to communicate in more than their first language, an advantage for both dwarves but not for the other occupants of the room. Soon it becomes clear to everyone in the room that although they are with companions that they have travelled with there are others in the room. 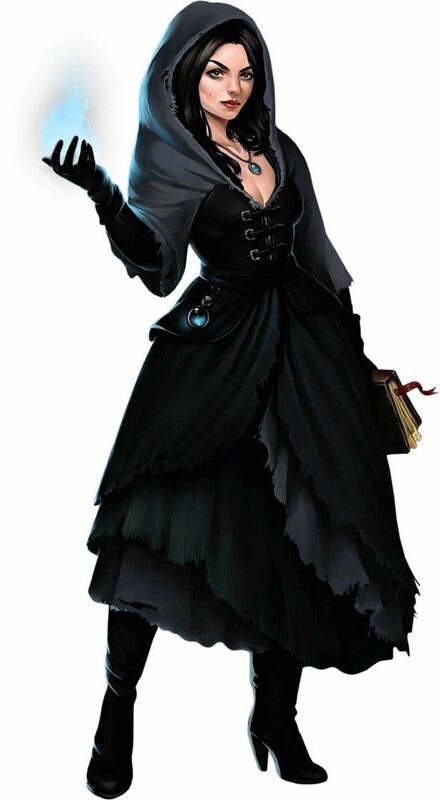 To make things clearer one group decide to cast light spells which although successful, result in the loss of magical abilities for one of them. Each adventurer although bound tightly appeared to have their basic combat equipment. Eventually, the adventurers’ ability with language is restored and Billwise, Dagaard and Pick free themselves. They are confronted by the sight of a dark-haired female adventurer and a short stone-troll still bound on the floor. Uncertain of the nature of the troll whom they understand to be called Denig and the raven-haired woman known as Ydal, Pick opts for leaving them bound whilst Billwise examines the door to facilitate an exit from the room. At that moment, the door opens. Pick, Dagaard and Billwise, being the only adventurers freed, readied their weapons. A small round head poked around the door and gave a squeak of shock before retreating rapidly. Unfortunately, the door swung shut preventing the three freed prisoners a chance to escape. Quick thinking Billwise thrusts his dagger into the door to act as a handle, that it succeeded surprised all present but the result was to no avail as the door was latched on the outside. The nascent party have only a short time of introductions and tentative trust before the captors return, though captors they are not. Indeed, the small group of Hobbits that wait outside of the cellar door turn out to be the saviours of the fallen adventurers, who were in danger of being consumed by a party of raiding Orcs. It appears the Orcs have encamped in Neffwin wood for a reason, according to the elder clan leader Isundras Kettle. He adds, between naps, small bits of knowledge he has gained from living in the Misty Mountains during his youth. More pressing is the discovery of the smial’s backdoor by a band of Orcs searching for the purloiners of their latest food supply. Naturally, the adventurers all decide that they should help their rescuers but with two different parties of adventurers, there was a small amount of tension over planning a sortie to displace the invaders. Alongside this is the reluctance of the leader of the Hobbit men, one Pencho Goodspear, to engage in direct combat. Luckily, it is Billwise who both parties listen to as the Hobbit expert and so it is that under a stealthy but slightly inefficient fire of slingshots the Orcs are defeated. Mostly, it must be said, under the hammers of the Dwarves, but Denig’s stone skin dented more than a few Orc blades. In the woods, the remaining Orcs are ambushed by the Hobbits. The heroes and Hobbits gather in council within the smial, food, of course, is provided. The Hobbits explain that they have recently travelled from the Ettenmoors after hearing of the new land granted by the Big King of the lake and have recently made Neffinwood their home. Between naps, Isundras tells the party that he feels that no Orc would travel this far from the safety of the Wilds of the Ettenmoors without purpose. From this Pick, Dagaard and Billwise draw conclusions that these are of the same party encountered in the Weathertops, a fact that they do not share with Denig and Ydal. There is much discussion, with Pencho again making it clear he will not risk his hunters in direct battle. Speaking for the women, Fairly Goodnough counsels hiding or leaving, but in private, to Pick, insists that the adventurers exterminate the vermin who have invaded their new home.